Off the Shoulder Gold Sweater *Would be perfect for a NYE Party. Faux Fur Collar Moto Jacket (Only $38) *Fur collar is removable. 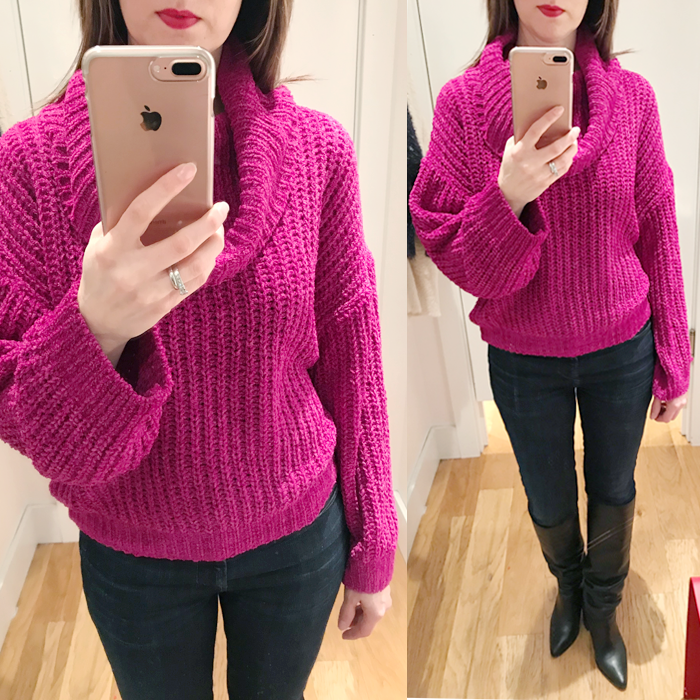 As you have probably figured out by now, I LOVE sweaters! 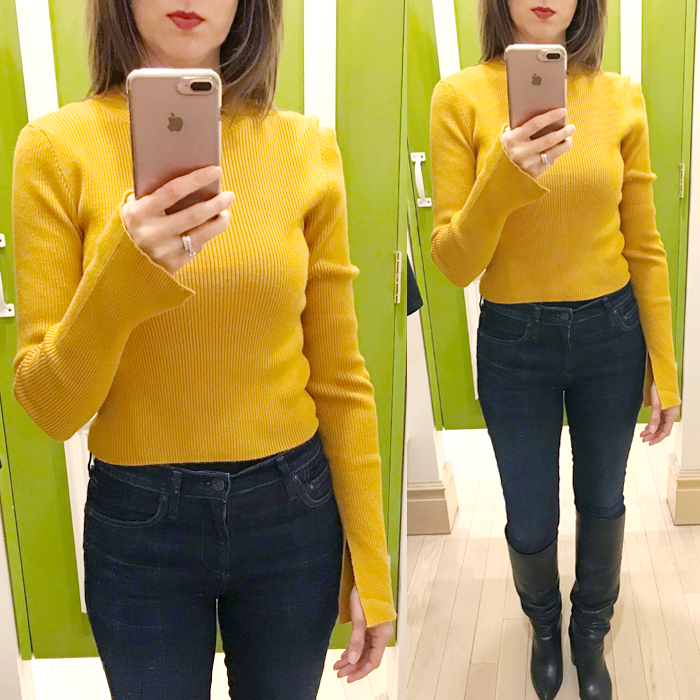 I have been shopping and trying on different sweaters at different stores - and the best part - most of them are on sale. In case you missed my other try on sessions, I shared them here, here, and here. And, if you are wondering which sweaters I bought - well, I bought this one (for 55% off) and this one (that is under $13). 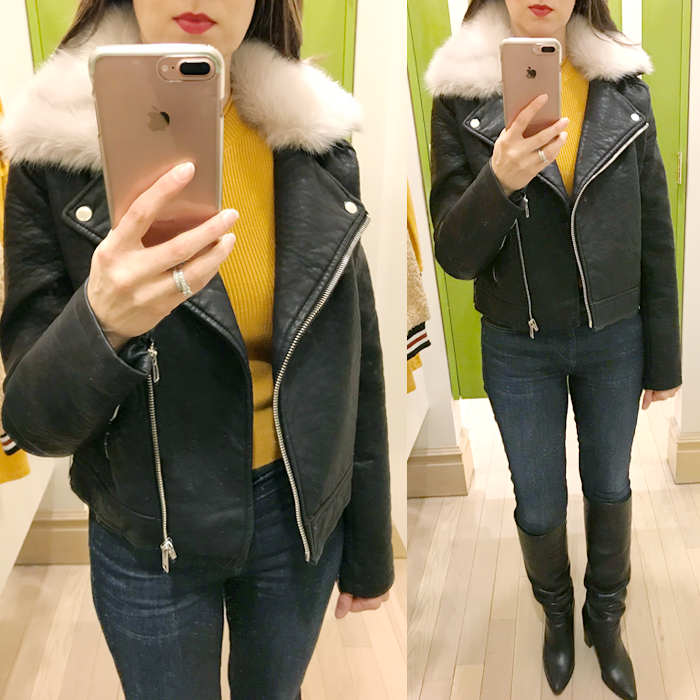 Also, this is not a sweater - but that moto jacket above that is only $38 - is really nice and it has a removable faux fur collar - so you can wear it all year. 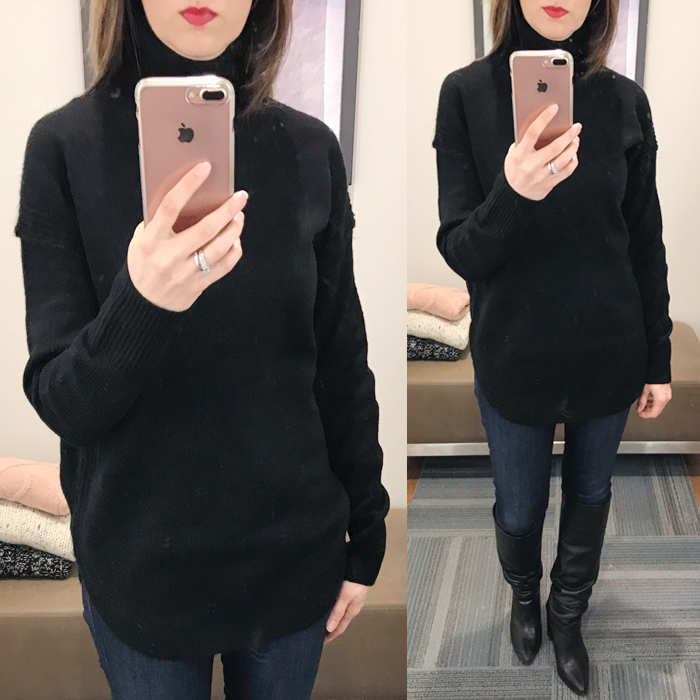 Lastly, if you like my slouchy boots - I got them last year, but there is an almost identical pair - and right now they are 50% off HERE (And, also HERE). I am not sure I would want to eat one of these - if someone offered me one. I grew up playing this game - but I wonder if younger people today know what it is? This is your “ready for Walmart” accessory. Sadly, I could probably make one of these - due to fact we live next to a nature preserve. Kind of a true to its use tool. Put this on your desk at work - and it might scare people and make them wonder (or it could be a good conversation starter). Might be a good gift for a cat lover and DIY’er. LOFT has 50% off and free shipping - so you might want to check out some of my picks HERE. These sweaters are so cute. I love the pink one. 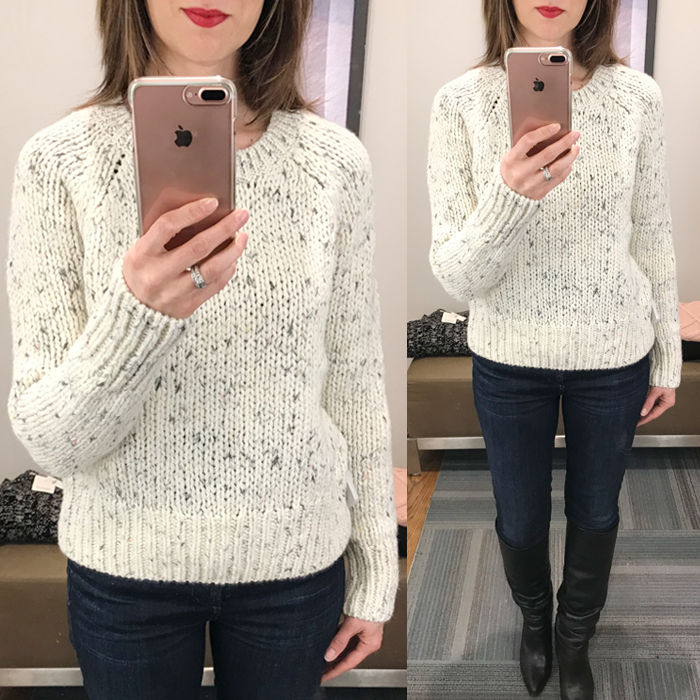 I love your sweater try-on sessions! 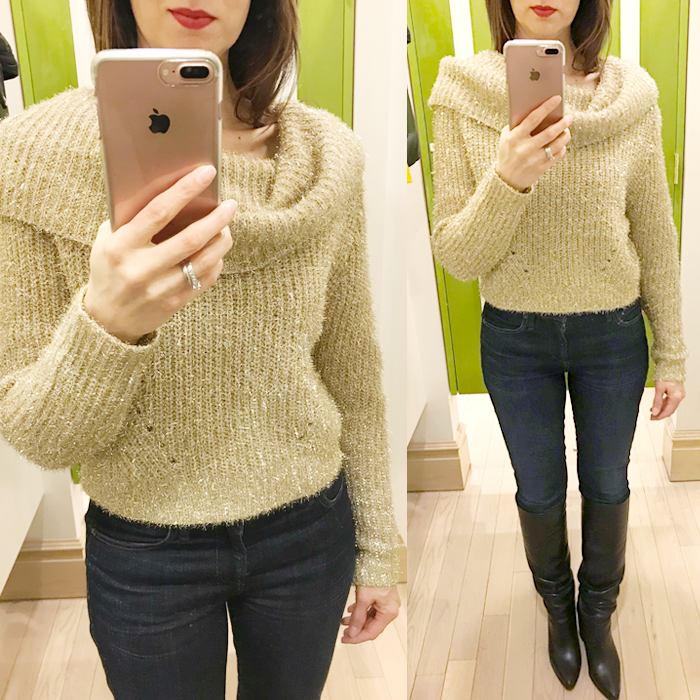 I love the ribbed turtle neck and the off-the shoulder gold! Tis' the season for cozy sweaters! 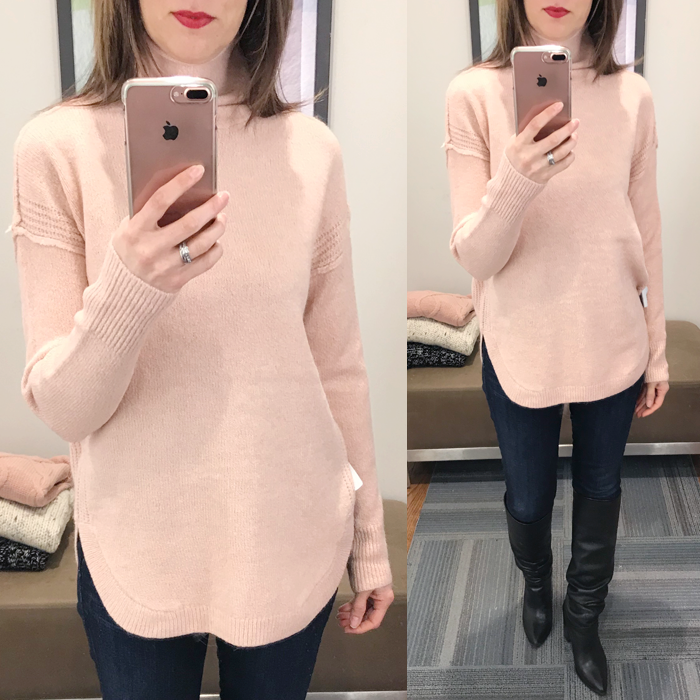 I am obsessed with that blush pink tunic sweater. What a pretty color. 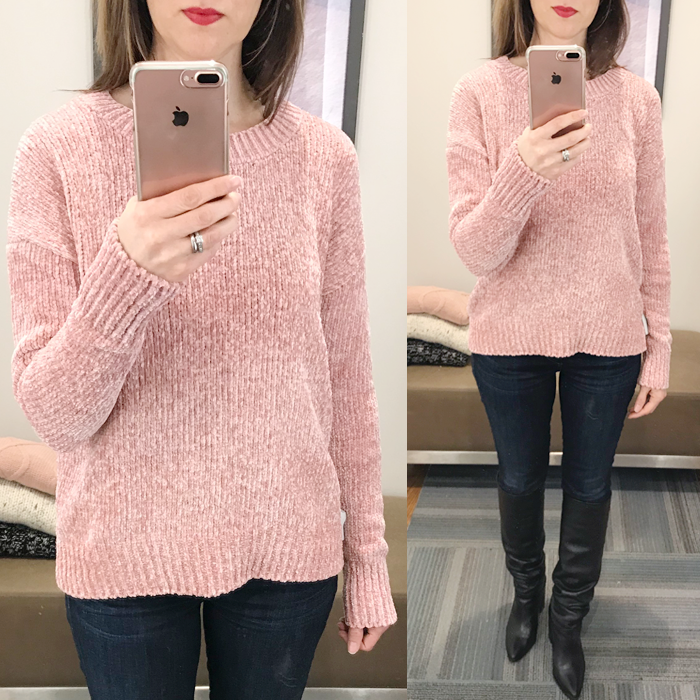 The pink chenille sweater looks good on you! There she is, looking darling! The pink and yellow are my favorites! Love that second pink sweater so dang cute! I love that you're doing try on sessions. I was thinking of doing something similar but haven't got my act together yet! 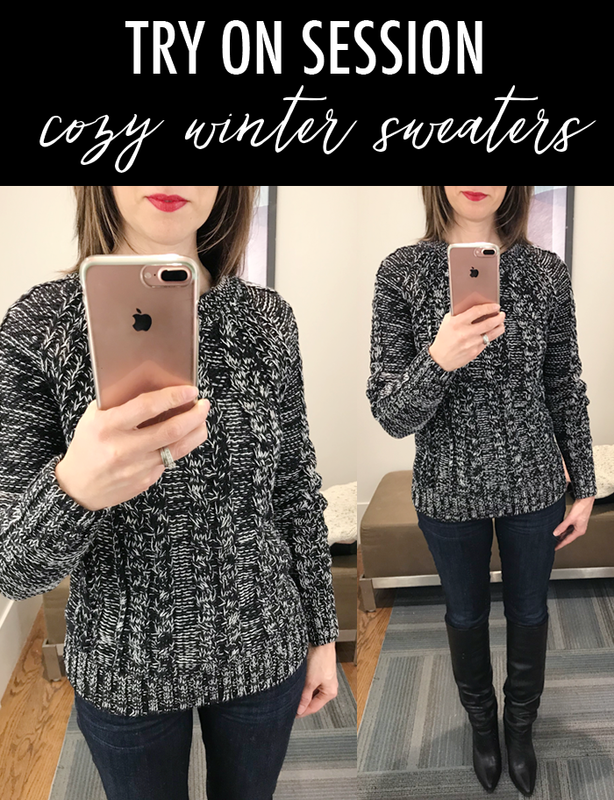 I live in sweaters this time of year - love these picks!